BURBANK, Calif., November 1, 2016 /3BL Media/ - The Walt Disney Company launched its annual "Share the Joy" campaign today to inspire kids and families to volunteer and spread goodwill this holiday season to those who need it most. Through "Share the Joy" events and themed programming across the Disney|ABC Television Group, families in the U.S. will be encouraged to give with food and gift contributions, or volunteering in collaboration with Feeding America®, generationOn and Toys for Tots. This year, as part of Disney's "Share the Joy" campaign, Disney|ABC Television Group will encourage its audiences across multiple platforms to "Share the Joy" through themed programming on ABC's "The Chew," which will kick off the campaign on today's show, "General Hospital," Freeform's "Ben & Lauren: Happily Ever After?" and multiple Disney Channel series including "Girl Meets World," "Bizaardvark," "Liv and Maddie: Cali Style" and "BUNK'D." Additionally, two series of inspiring Public Service Announcements (PSAs) will motivate families to get involved with Feeding America and Toys for Tots this holiday season. The PSAs will be presented across multiple platforms including ABC, Freeform, Disney Channel, Disney Junior and Disney XD through December. Also, ABC owned television stations in local markets will host volunteer events at food banks and toy drives throughout their communities and they will feature news segments highlighting the importance of giving back and volunteerism. 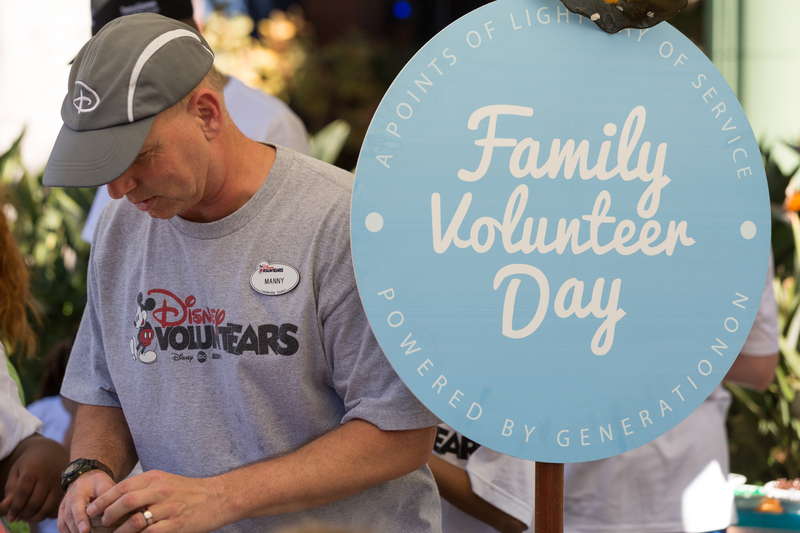 As part of "Share the Joy," Disney will support Family Volunteer Day to demonstrate and celebrate the power of families who volunteer together. Taking place this year on November 19, Family Volunteer Day powered by generationOn – the youth division of Points of Light – encourages children to be change makers in their communities and the world, as they learn valuable life lessons about kindness, caring and compassion. 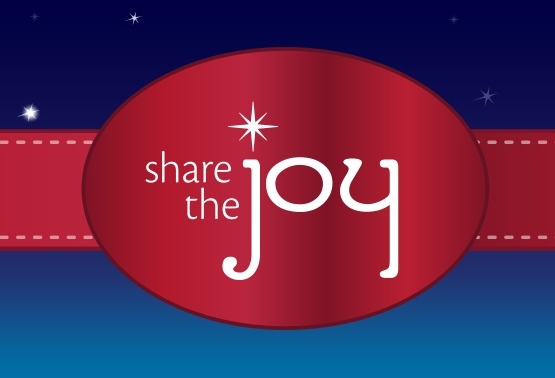 Families can visit Disney.com/BeInspired to get involved and help "Share the Joy" this holiday. More information on Feeding America, generationOn and Toys for Tots is available at FeedingAmerica.org/BeInspired, generationOn.org/FVD and ToysforTots.org/BeInspired. The Walt Disney Company, together with its subsidiaries and affiliates, is a leading diversified international entertainment and media enterprise with the following business segments: media networks, parks and resorts, studio entertainment, consumer products and interactive media. Being a good corporate citizen is a time-honored Disney tradition. Through contributions, collaborations with local organizations, in-kind gifts and volunteering, Disney helps to brighten the lives of kids and families in need and strengthen communities around the world. For more information, visit thewaltdisneycompany.com/citizenship or twitter.com/CitizenDisney. Disney|ABC Television Group is comprised of The Walt Disney Company’s global entertainment and news television properties, owned television stations group, and radio business. This includes ABC Studios, the ABC Owned Television Stations Group, and the ABC Television Network, which provides entertainment and news programming to viewers via more than 200 affiliated stations across the U.S. It also includes Disney Channels Worldwide, a portfolio of 116 kid-driven, family-inclusive entertainment channels, including Disney Channel, Disney XD, Disney Junior, Disney Cinemagic, Hungama, and Radio Disney brands, as well as cable network Freeform, which targets Millennials. Disney|ABC Home Entertainment and Television Distribution and Disney Media Distribution round out the portfolio. Disney|ABC Television Group also has equity interests in A+E Networks and Hulu. For more information, visit abcbeinspired.com. Follow @ABCBeInspired and @CitizenDisney on Twitter for up-to-date news on #SharetheJoy / #DisneySharetheJoy. *COPYRIGHT ©2016 Disney. All photography is copyrighted material and is for editorial use only. Images are not to be archived, altered, duplicated, resold, retransmitted or used for any other purposes without written permission of Disney. Images are distributed to the press in order to publicize current programming. Any other usage must be licensed. Photos posted for Web use must be at the low resolution of 72dpi, no larger than 2x3 in size.